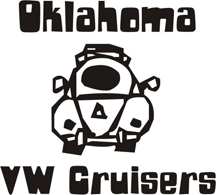 Oklahoma Vw Cruisers • Diggin the new board. Just like to say I think the new board is a step up in the world and I really like it. Also would like thank Jim for doing all the work in maintaining the website and setting up the new one. Re: Diggin the new board. Its nice eh? No more wondering if a post has been replied to or not,or forgetting? VERY nice Jim, Cudos on everything, those of us who are "shut-ins" really appreciate it!